Working at the Olympic Games in London, UK. 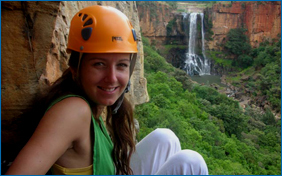 Contact UsFor Rock Climbing and Abseiling equipment, Guided Adventures, Mountaineering Training, Rope Access solutions, Film & Photographic Services and Lodging for adventurous souls … you are at the right place, right now. Welcome to our world. Our team will kit you up, train you up and get you on the rocks – all from our central location in the heart of the South African Rock Climbing Mecca. 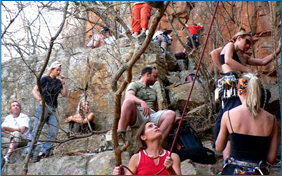 Apart from our climbing shop and rental service, you can choose from half day climbing sessions, introductory weekend workshops and abseils right next to the mighty 70m Elands falls as well as other adventurous excursions. There are over 700 different routes to choose from and new routes are still regularly opened by us and various other climbers. MTB and day hiking trails will take you to spectacular vistas along the escarpment. 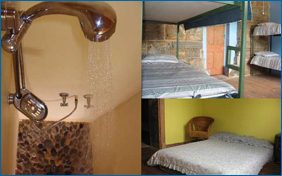 We offer various luxury or affordable accommodation options in and around Waterval Boven (aka Engwenya), mostly aimed at what climbers and other outdoor users prefer.